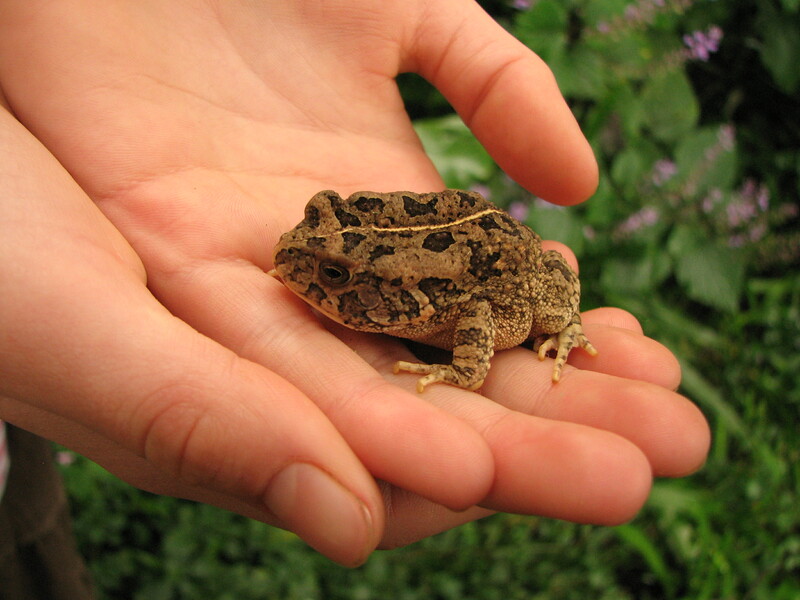 The Endangered Wildlife Trust (EWT) is holding its second National Awareness Day for threatened amphibians on the 28th of February 2014 – a date now designated as Leap Day for Frogs! The day will comprise a number of events, activities and opportunities for learners, homeowners and employees to take a leap of action to save our frogs. “What many South Africans don’t know is that frogs play a key role in our indigenous ecosystems because they act as both a predator of insects, some of which are disease-spreading, as well as being prey for a host of other species. Their habitats are sources of freshwater and also assist in water filtration and flood reduction,” said Dr. Jeanne Tarrant, Manager of the EWT’s Threatened Amphibian Programme (EWT-TAP). The good news is that unlike a number of other endangered species, which require global support and intervention, the protection and conservation of frogs is something in which ordinary South Africans can play a meaningful and impactful role. 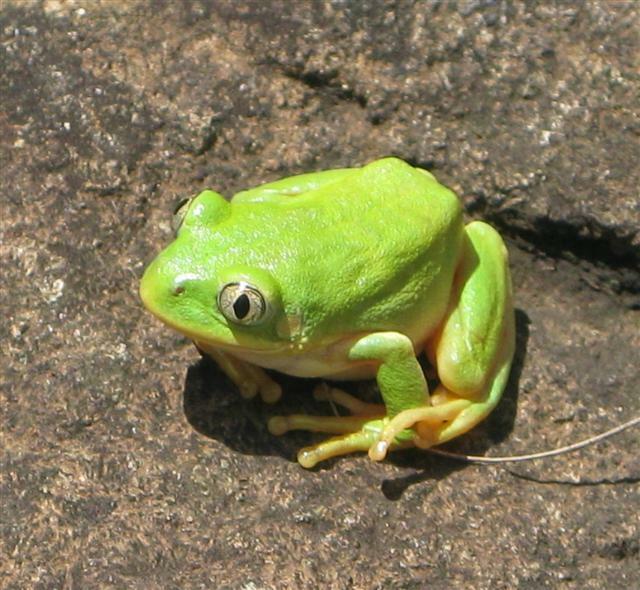 The awareness campaign aims to put frogs on South Africa’s conservation map by providing information on what people, businesses and government can do towards reducing their negative impact on amphibian habitats, as well as how they can create environments that are conducive to the survival of frogs. 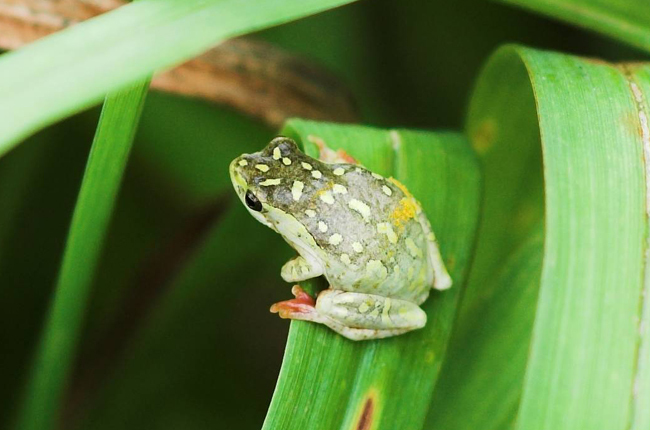 Various events will be held throughout the country focusing on threatened species including the Critically Endangered Pickersgill’s Reed Frog from KwaZulu-Natal, the Critically Endangered Amathole Toad from the Eastern Cape and the Endangered Western Leopard Toad from the Western Cape. Jeanne will be involved in two events during the course of the day: she will be addressing local residents of Mtunzini on the afternoon of the 28th about their area being a hotspot for Pickersgill’s Reed Frog and how they can help. That evening she will be in her local town of Kloof for a family outing including kids activities, an illustrated presentation and a guided walk in Glenholme Nature Reserve. 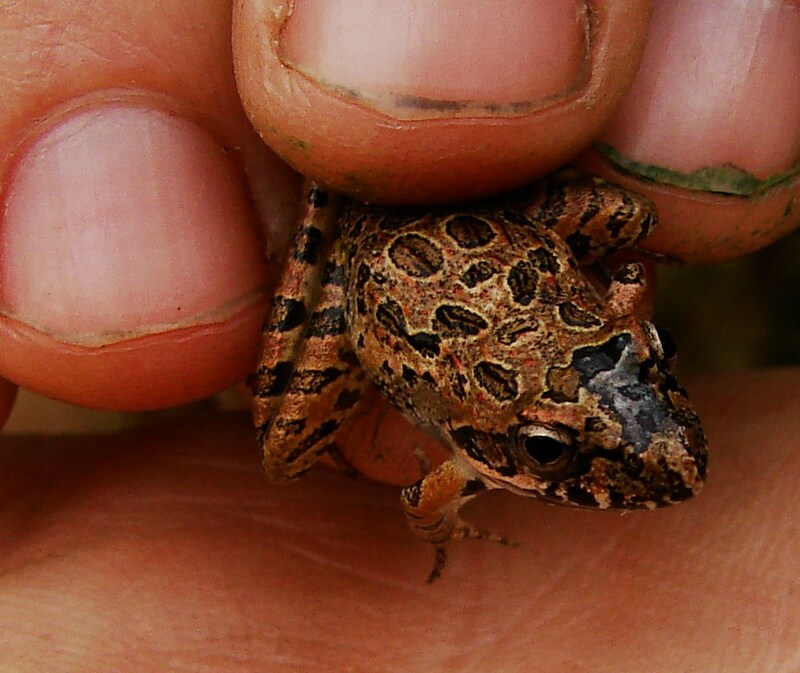 Activities focused on the Western Leopard Toad will take place in Noordhoek, Houtbay and Stanford. In the Eastern Cape, two events will be taking place to create awareness about the Amathole Toad – the local Hogsback school will take part in a wetland clean-up and a trail run on the Amathole Trail will take place on Saturday, 1 March. More importantly though, individuals are asked to organise their own events at home, school or the office to bring attention to and celebrate these important creatures in general. The website dedicated to the day will have plenty of information on ideas, tips on how you can help and events in your area. For further information about the EWT-TAP and Leap Day for Frogs visit www.leapdayforfrogs.org.za or contact Jeanne Tarrant on jeannet@ewt.org.za. This entry was posted in Environmental Learning, Some Friends Hop and Slither and tagged frogs on February 25, 2014 by Midlands Conservancies Forum. Reblogged this on Verdant Life. 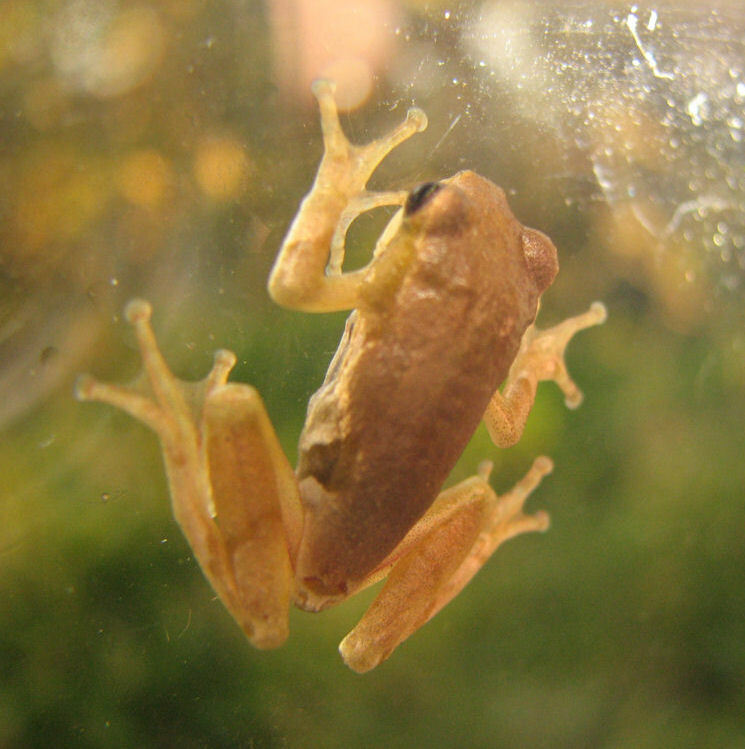 Plenty of Eco-Schools Frog action coming up this week, will post all the pics once I have them all. Also, I’m going to be writing an article about what all the schools have done for Leap for Frogs day, so if you hear of any I might not know about, please let me know! Great article Nikki, but it would be nice if the photographers receive credit for these photos that you have used. 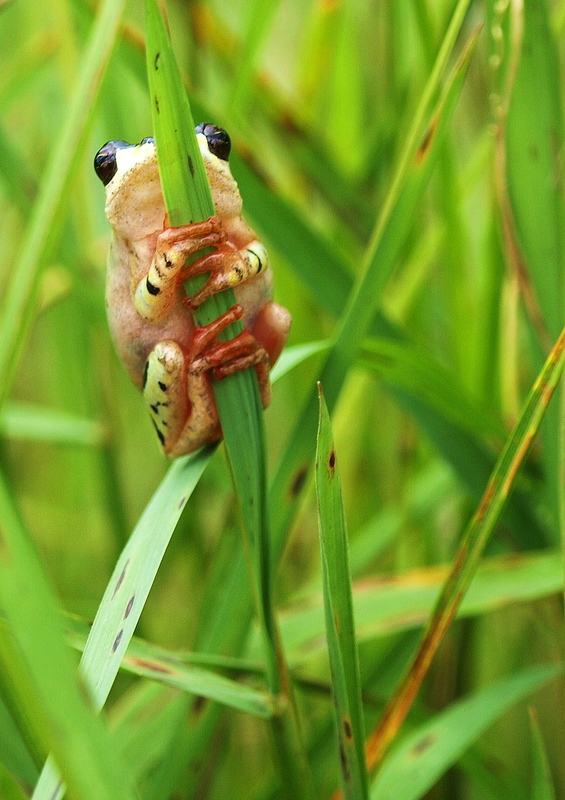 Patrick Cahill (or Postman Pat as he is affectionately known by us) took the photo of the gorgeous little frog clinging to the reed and he would be delighted to know that his photo appeared on the MCF blog. He is in hospital at present and this would definitely cheer him up! Hello Carolyn, Pat has received credit for the photo. If you hover on the image, details of what it is and who the photographer is, come up. Pat has generously given me lots and lots of photos and permission for MCF to use them. He has certainly taken some fantastic ones in Karkloof.